Is Cole Hamels a Cy Young Award Candidate? There is the possibility that this season’s American League Cy Young Award winner could be currently taking the mound for the Rangers every fifth day. After the performance Cole Hamels turned in Friday night in Florida, it’s hard to argue against it. Hamels took a no-hitter into the sixth against the Tampa Bay Rays before Corey Dickerson broke it up with two outs in the inning. 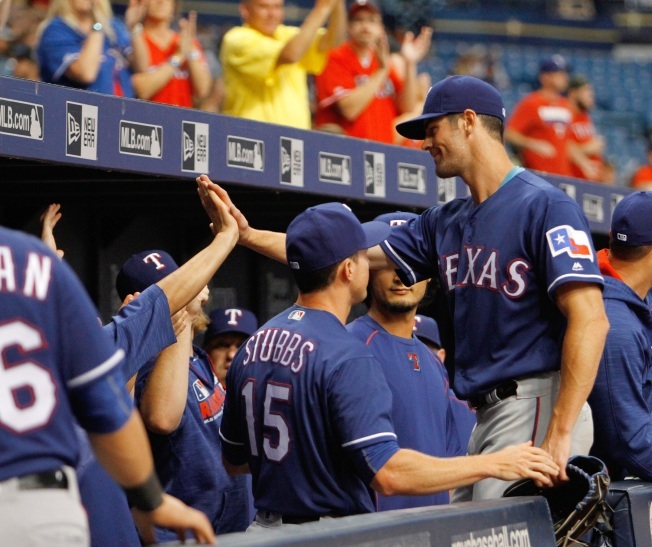 Hamels ended up going 7 1/3, allowing one run on three hits with ten strikeouts in the Rangers’ 6-2 win. The Ace of Arlington raised his record to 13-4 on the season with a 2.80 ERA, third best in the A.L. His 159 strikeouts rank him near the top of the league. So how strong are the chances of Hamels winning the award? It’s a wide open field this season since there hasn’t really been an over-dominant starter. Orioles reliever Zach Britton is considered by some as the favorite. Britton has a 0.54 ERA and has converted all 37 of his save opportunities. Other starters in the mix include Aaron Sanchez and J.A. Happ of the Blue Jays, Tigers rookie Michael Fulmer, Royals lefty Danny Duffy and Coppell alum and 2014 Cy Young winner Corey Kluber of the Indians. What helps Hamels is that he’s the leader of a staff for the team with the best record in the league. The Rangers are 73-50 going into Saturday’s game against the Rays, three games better than the Central Division-leading Indians. When Hamels steps on the mound, more often than not the Rangers win. They’re 28-9 in his 37 starts since being acquired from the Phillies last season. That’s the kind of things that big game pitchers do. With Yu Darvish starting to get into a groove, the combo of Hamels and Darvish might be the best in the league. Once you get into the playoffs, having those two as your Game 1 and 2 starters is tremendous. Good pitching is always fun to watch, and right now Hamels is putting on a clinic.